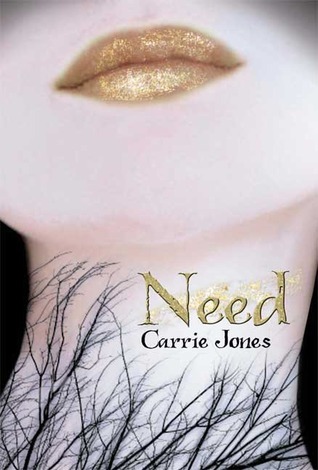 This week I'd like to feature the covers of Carrie Jones' Need Series. I love the way they go together thematically and all include the gold dust that is a predominant part of the plot. Plus they're so darn pretty! The model reminds me of Natalie Portman. Gorgeous, right? Endure is coming out in May of this year and I can't wait to find out how this tale wraps up! I couldn't find out a thing about who is responsible for these beautiful covers, but kudos to them for their creations. If any of you have any info, let me know and I will be glad to update this post! I'm loving that nail polish! As far as the second one goes, I think I prefer the cover without the guy's chin in it. What do you think? Oh I LOVE this series!!! What a great choice! I love these covers and the stories inside. 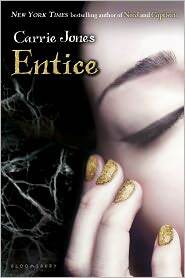 I really can't wait to read Endure! The pixies in this seroes can be so creep- dont you think? With their tiny shark teeth and blue skin! Lol. And Nick is soooo awesome! Lol. I haven't started this series. The covers are all amazing. Need has to be my favorite. I love the dark branches creeping up her neck. There is not a bad one in the bunch though. Thank you so much for sharing them. 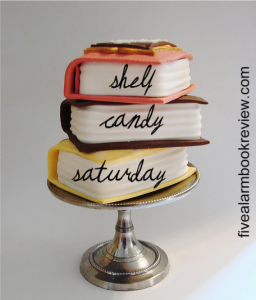 Ohh great shelf candy this week!! I love the gold going on in all of these. I have had this on my tbr for awhile, maybe I should get around to em! I'm really enjoying the series, you should check them out. Especially with Endure coming out soon! thanks for stopping by! AWESOME PIC! I love seeing them side by side! I see these in stores all the time and always wondered what they were about! They look awesome. Thanks for sharing! It's a pretty good series. I'm glad you like the covers too. I just really like the way they compliment each other so well. Hey, Steph! These are just amazing!! I love all the gold tones and glitter! 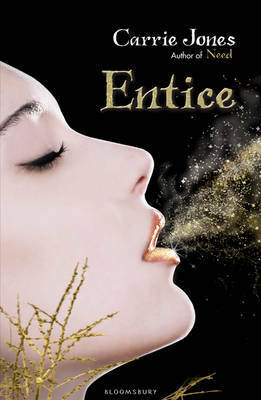 And I agree with you -- the cover of ENTICE looks much better without the guy's chin on it.